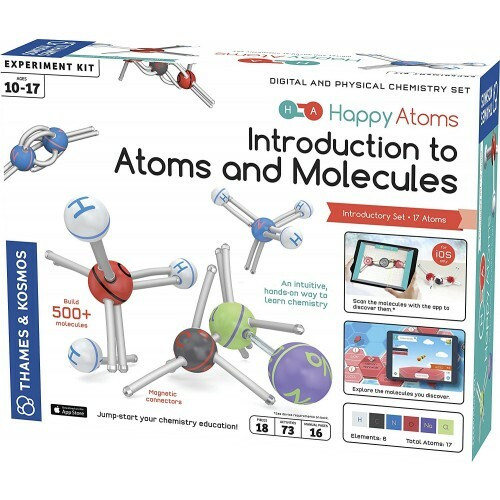 This Happy Atoms Introduction to Atoms & Molecules Kit by Thames & Kosmos is a revolutionary approach to teaching kids 10-17 years digital and physical chemistry. 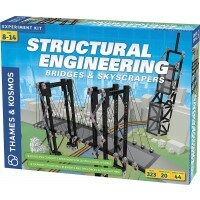 How cool can kids' science go? This COOL! 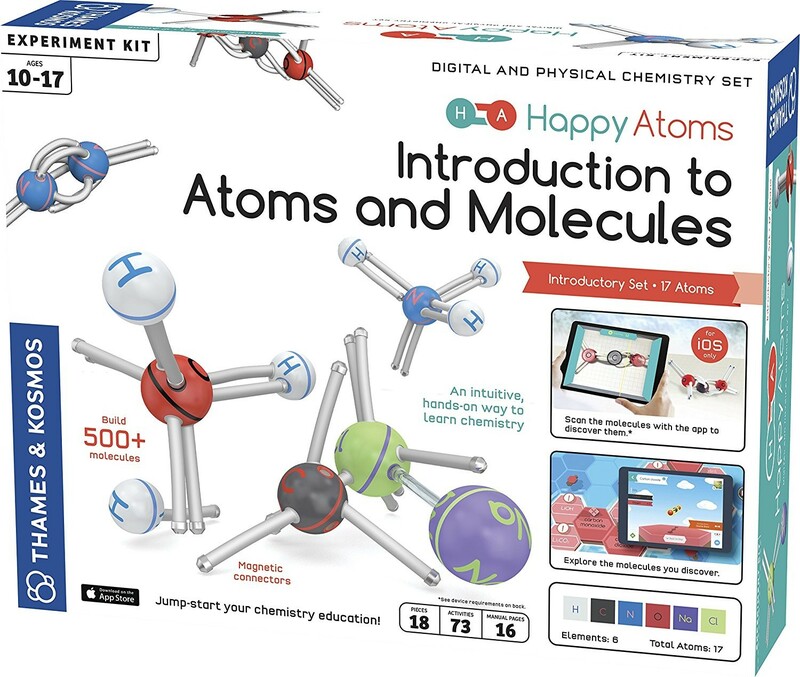 New Thames & Kosmos' Happy Atoms Introduction to Atoms & Molecules Science Kit is truly amazing in its level of scientific knowledge, innovative idea, visual science tools and accessories, and abilities to explore and discover. 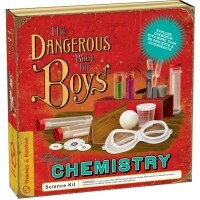 This science toy is sure to make chemistry more friendly and easier to understand. 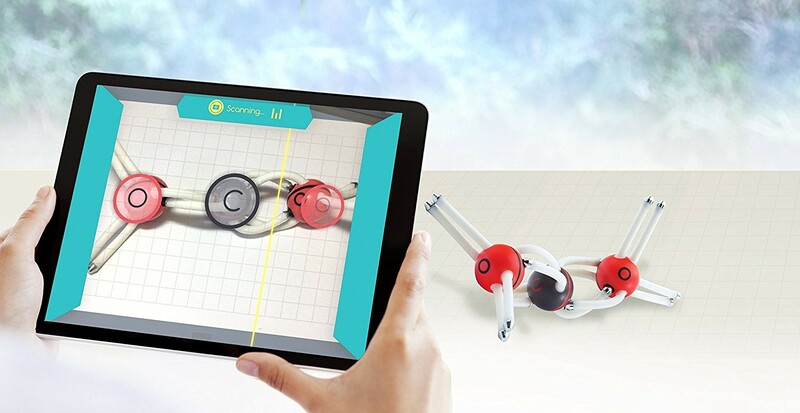 This super educational toy brings learning of chemistry to the entirely new level: to the materials, their properties, and how they react with each other. 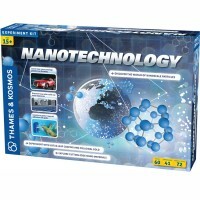 All material things are made of atoms. 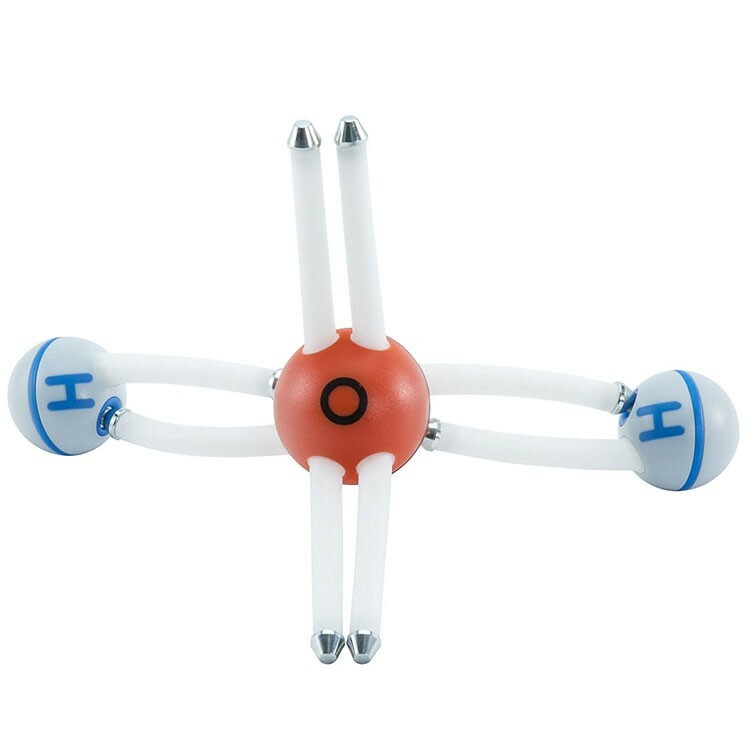 How do atoms get along with each other? How do they feel 'happy' together? Even though, atoms can't feel anything, they follow some 'behavioral' patterns: being more stable when they have certain numbers of electrons around their cores. 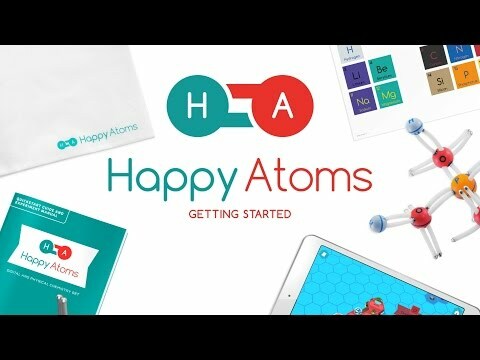 Where do these atoms find extra electrons if they need more to be happy? 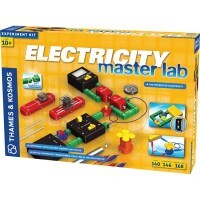 From other atoms that have too many electrons, of course! When atoms share or exchange electrons to be happy, they stick together. 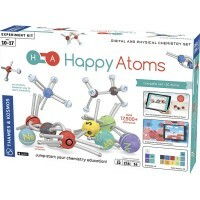 Happy atoms form molecules! 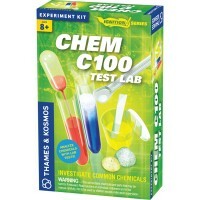 This physical and digital chemistry kit from Educational Toys Planet lets you discover the world of molecules in an intuitive, hands-on way. 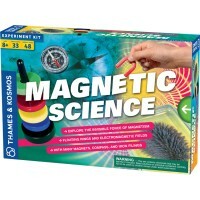 Happy Atoms Introduction to Atoms & Molecules Science Kit comes complete with 17 magnetic atom models representing different elements. 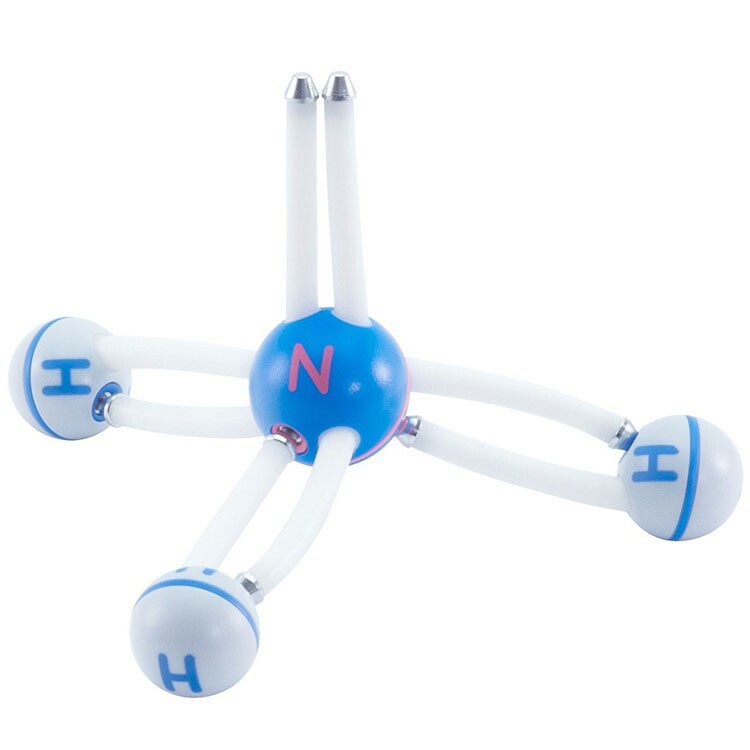 Young scientists can assemble their own molecular models with these enclosed atoms. 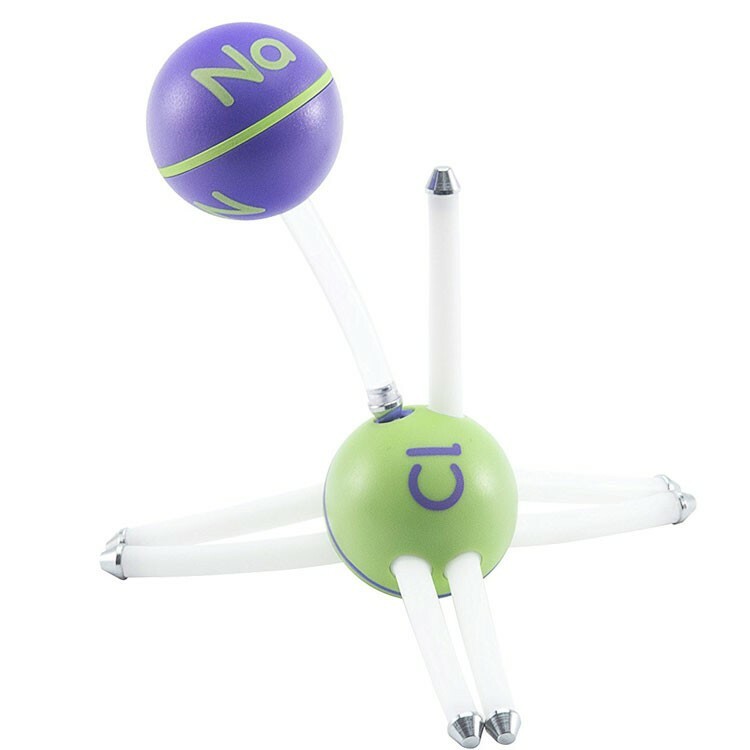 The atoms stick together easily with magnets: metal tips on the ends of rubbery arms, which represent free electrons, snap onto magnetic bonding sites on the atom spheres, which represent empty spots for electrons in the atom’s outermost electron shell. 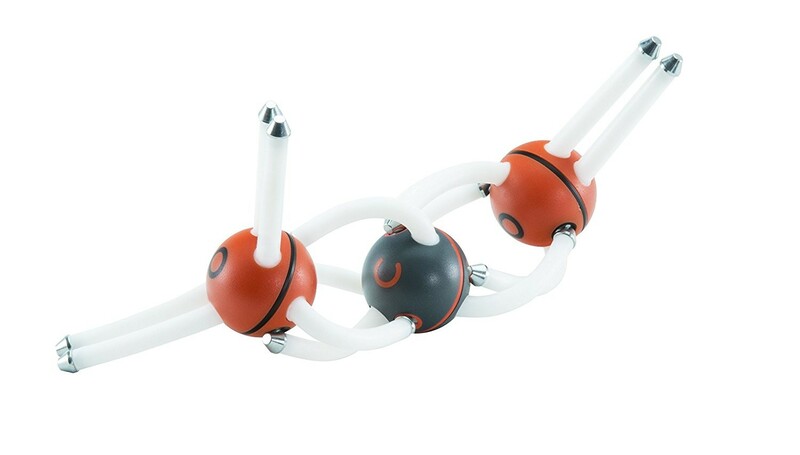 When a molecule model is built together, how to search which one is it? 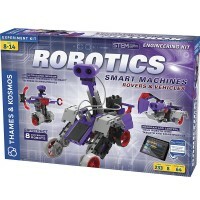 Now electronic technology comes handy. 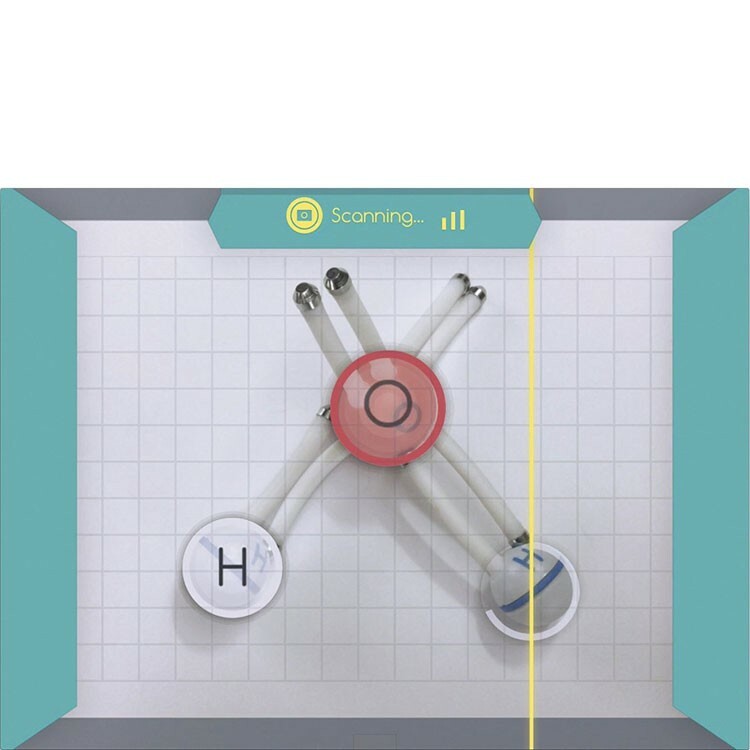 The atomic science kit includes a special app for iPad and iPhone. 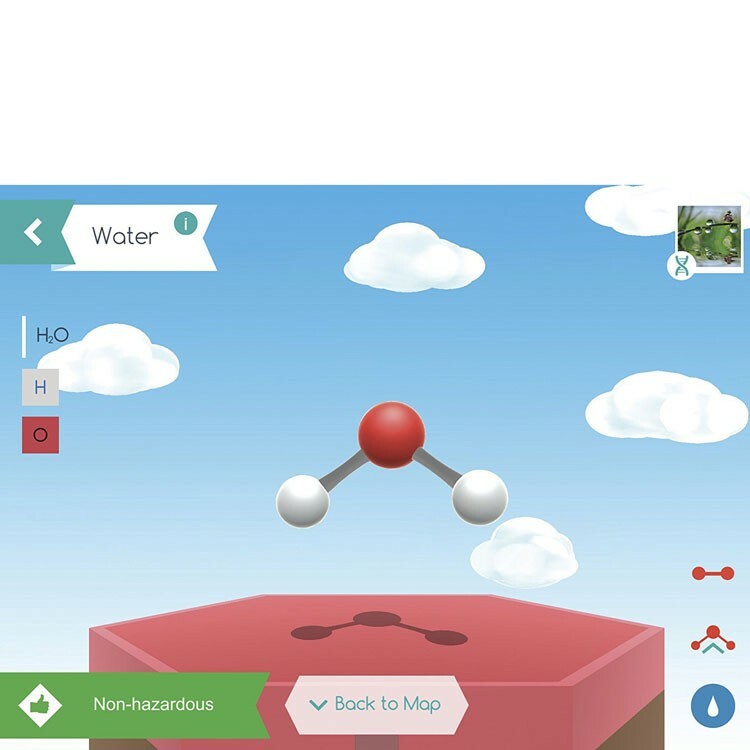 The Happy Atoms app lets kids take model's picture, and identify the molecule with special technology. 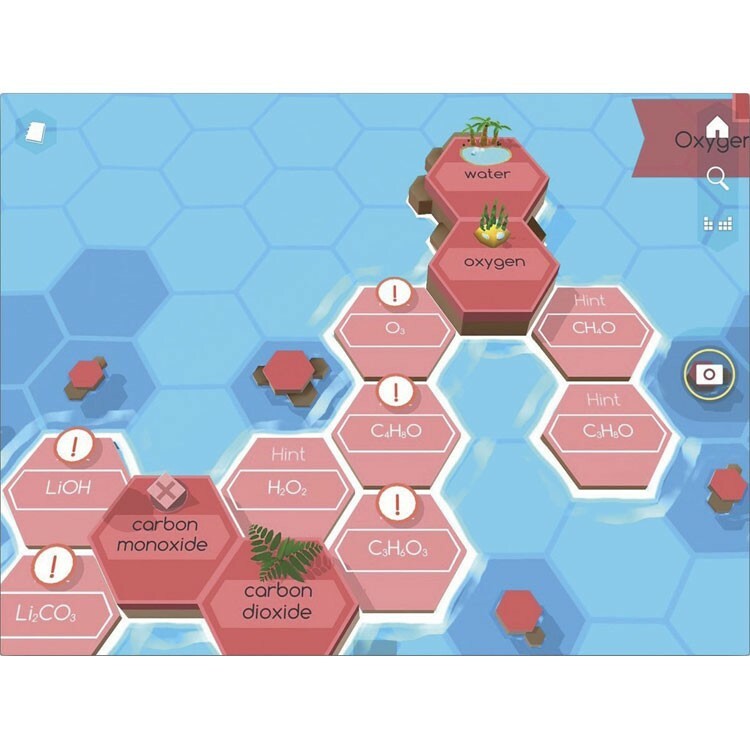 The app recognizes thousands of molecules. 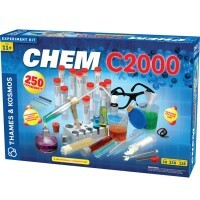 It presents detailed information about 120 of the most important molecules, such as a molecule’s usage, properties, hazards, formula, and structure. 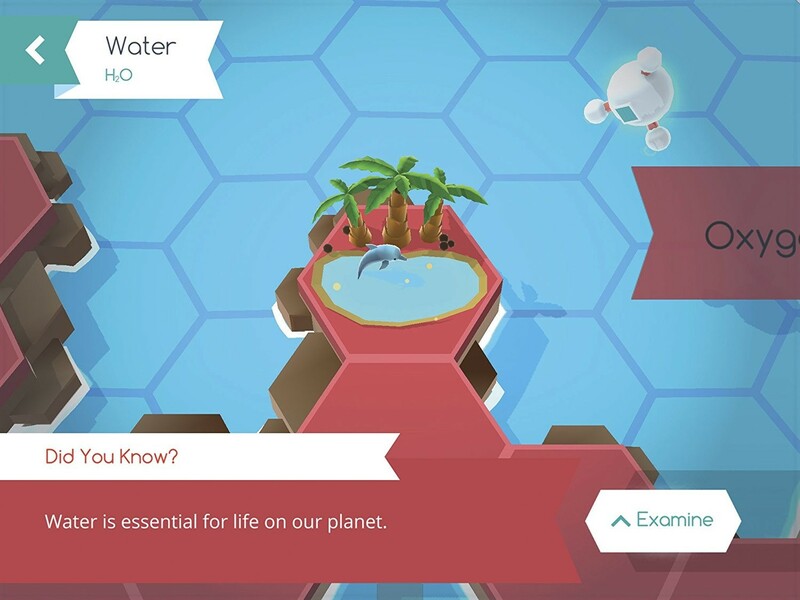 The app takes you on guided missions to discover new molecules and learn about them. 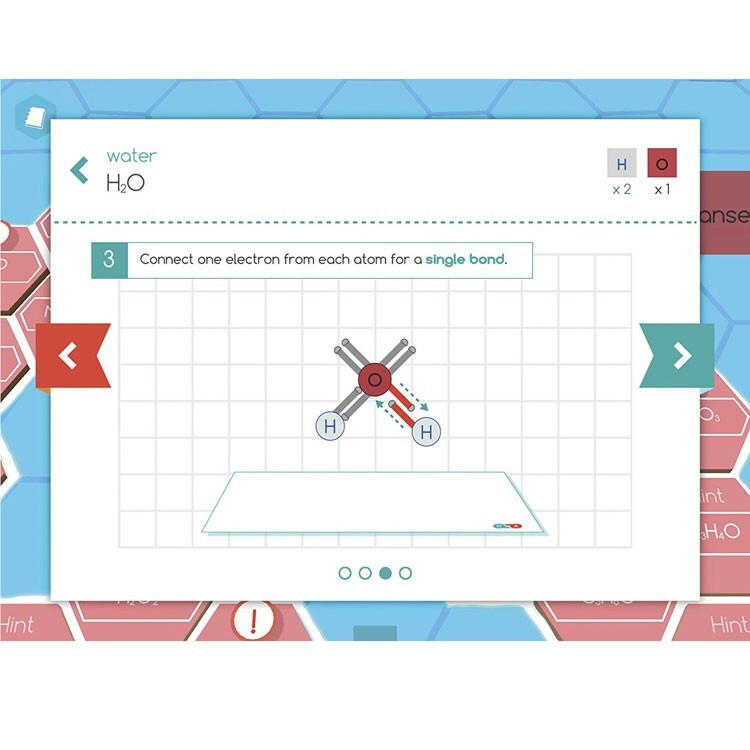 Young scientists can track their progress with the app, collect sets of molecules, and more. 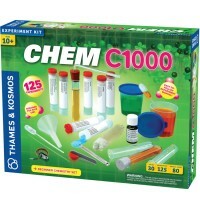 Dimensions of package 0.146" x 0.115" x 0.038"
Write your own review of Happy Atoms Introduction to Atoms & Molecules Science Kit.